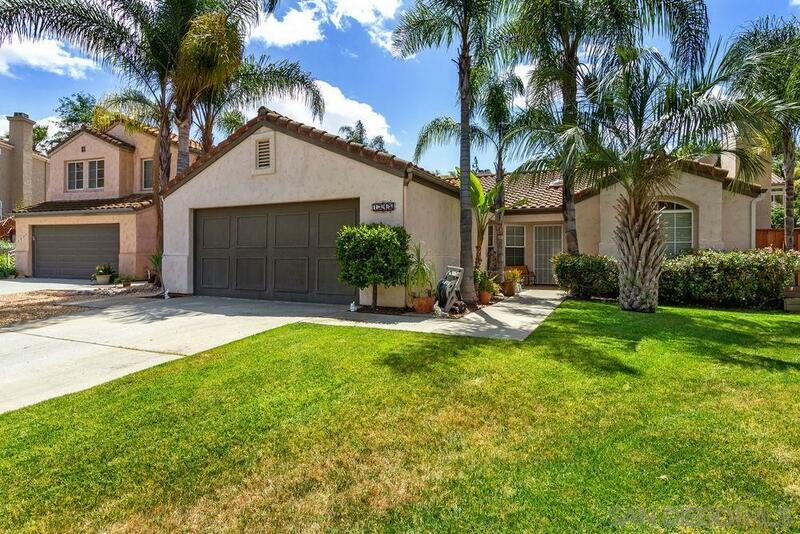 BEAUTIFUL COUNTRY LIVING IN NORTHERN ESCONDIDO KENT RANCH COMMUNITY. RECENTLY UPDATED KITCHEN WITH NEW GRANITE COUNTERS AND NEW CABINETS. NEW LAMINATE FLOORING. BEAUTIFUL TRAVERTINE FLOOR WITH MOSAIC DESIGN IN MASTER BATH FLOOR. CARPET IN BEDROOMS ONLY. GAS COUNTERTOP STOVE. DOUBLE DOOR REFRIGERATOR. INDOOR LAUNDRY ROOM. CUSTOM PAINT. COVERED PATIO WITH LARGE BACKYARD. SOLAR. CUL-DE-SAC LOCATION. QUIET NEIGHBORHOOD. TWO COMMUNITY PLAYGROUNDS. CLOSE TO SCHOOLS.